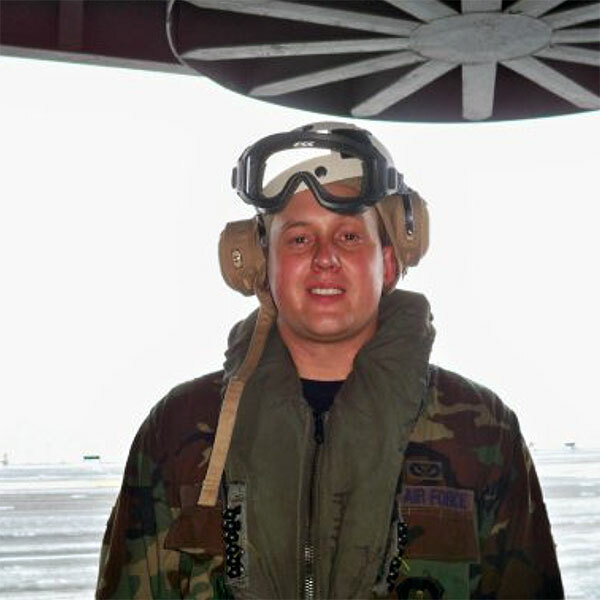 My name is Brian Privett, and I served in the United States Air Force from 2006-2014. I finished my career in the Air Force as a Staff Sergeant and was separated due to the downsizing of the military from 2013-2016. I moved back home and found a job working at a local college as a maintenance technician. After a few months working there, I felt I needed more of a challenge and a more purposeful career. So, I began to research careers, and after some time I found Radiation Therapy at Cambridge. I was able to get all the information I needed about the program from the admissions representatives, and they were very helpful in guiding me in the direction I needed to go in order to get into the program. Because of my service I had questions about funding for the school but the financial aid department was very helpful and got everything set up for me through the Post 9/11 GI Bill. Once I started classes, all my teachers were extremely knowledgeable and made sure that all the material was understood before moving on. The program director and clinical coordinator were very attentive to the needs of all the students. Finally, the career advisor made sure we were ready for our job search and interviews upon graduation. What I liked most about this program was that the staff gave you the tools and knowledge to be successful. Success is earned and not given. You can be fully trained to work in a healthcare facility as a professional Radiation Therapist. Cambridge Institute of Allied Health & Technology trains students with the knowledge and clinical skills they need to become competent, entry-level radiation therapists upon graduation and to pass the ARRT Registry Examination. This program allows students to earn an associates degree in two years!